This tool creates a "2D" trail in the camera. This tool is not a 3D worldspace motion trail. Quick, automatic way to get inbetween poses for animation. 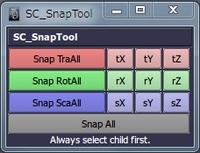 Tool for creating a parent control, so you can animate on top of contraint/rivet transformations. 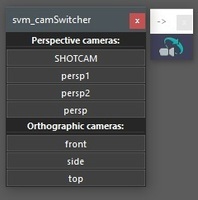 Selects and/or prints the objects from the selected keys in the Graph Editor. 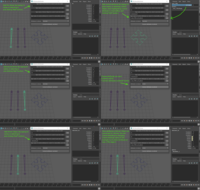 Script for animating in Autodesk Maya 2016 - 2019. Used for quick curves editing after creating main poses and timings. Free modular Autorig! Easy and Friendly to use! 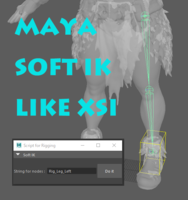 A automating script for setting up Soft IK like Softimage XSI. Script for deleting decimal keyframes with time slider range. 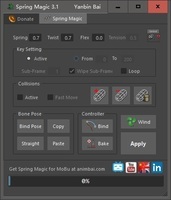 This is a body GUI for (Pixo Jr 2.0.0 for Maya) it can work for other stuff but its mainly for the PixoJr Rig. Enjoy!.